Over the past few weeks, we’ve hinted at our next steps and at the future of the game. Today, we’re pleased to announce that we’re rebuilding Deathgarden’s core experience. The new gameplay elements we’re introducing will allow us to realign the game with what we’d originally envisioned; we want Runners to have a tense but exhilarating experience and want Hunters to feel powerful and utterly unstoppable. Deathgarden is no longer a glorious sport—it’s a trial of unnatural selection. In the Garden, your objective is to collect as many resources as possible. The resources you successfully secure during the match will allow you to upgrade your characters’ abilities after the match (persistent upgrade on the character). This applies to both Hunter and Runner players. Runners must locate and collect resources found within the Arena. To secure their resources, Runners must deposit any resource they've collected at “resource banks.” On the other hand, the Hunter is rewarded by eliminating Runners and preventing them from collecting resources. We’ve made several significant changes to Deathgarden’s gameplay. The first major change is the removal of the Bloodpost . The Hunter’s gameplay now focuses much more on the tracking and killing of Runners. We wanted Hunters to be and feel unstoppable and make them feel in control of the arena. Therefore, we removed a major element that would force them to disengage from a chase (something that is enjoyable/exciting for Runners and Hunters). The second major change is that each Runner possesses one life. Runners must now adopt a stealthier playstyle if they are to survive the trial and gather as many resources as possible. It increases tension for the Runners and makes killing Runners feel more rewarding for the Hunter. In addition to this change, Runners now rely on “defensive” or “survival” Vambrace powers instead of offensive ones. In other words, we’ve removed all directly confrontational Vambrace powers (Stun, Blind, Slow, etc.) and replaced these with new tactical powers. (There are several new powers, which we’ll unveil in the weeks/months to come). We are still iterating on those to figure out which ones are most enjoyable and useful. This change further reinforces the fact that the Hunters are an utterly unstoppable force and that Runners are nimble escape artists. The final and perhaps most important change is that Runners will now adopt a more individualistic playstyle. While we’re not removing teamplay from their core experience (we will reward Runners for completing actions that benefit their team), Runners are now rewarded for what they accomplish within the Garden and awarded only what they manage to take out of the Garden. If one Runner is carrying a set amount of resources and they see a downed ally, they’ll think twice before attempting to rescue their friend. Should the Hunter also “down” the Runner carrying resources, that Runner will lose everything he or she carries. As for the Hunter, they will be rewarded for all Runner kills. In short, everything you accomplish in the Garden, (deliver resources, rescue Runners, down Runners, etc.) grants you XP and, ultimately, the resources you’ll need to further your characters’ progression. On several occasions, we’ve mentioned that, in our initial vision, the Hunter was a brutal and unstoppable force. The new gameplay experience allows us to realize this fantasy. It lets us balance the game around the notions of tension and brutality rather than around those of agility and strength. The Runners and Hunter are no longer in a direct competition—everyone strives to complete the match with as many resources as possible. This means that more players should come out of the match feeling rewarded. Realigning our direction also gives us freedom as to how far we can push the asymmetry of power and experience for Hunters and Runners. We sincerely believe that the changes we’re making will ensure a strong coherence between gameplay and fantasy. 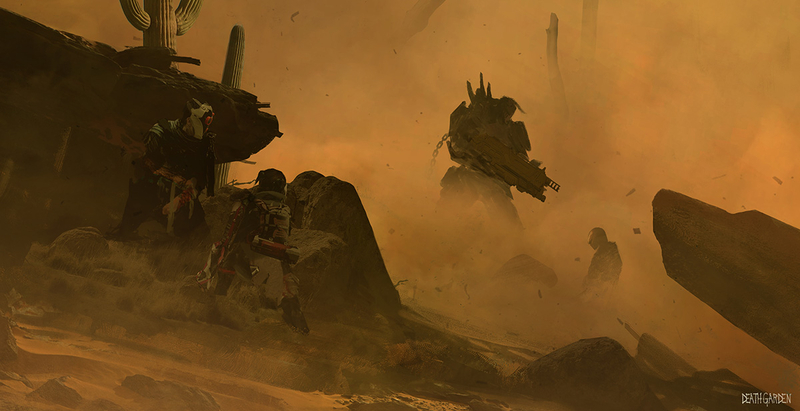 Rethinking Hunter and Runner power dynamics allows us to transform Deathgarden into a much more enticing and heart-pounding experience. Runners, will you become lone wolves, or will you work together in the face of the unstoppable Hunter? Hunters, will you allow those Runners to survive your onslaught. Hmmm....all this sounds very familiar; pretty sure I suggested most of these changes, and was roundly attacked for it. I don't think these constant shifts of direction are going to instill much confidence in whatever remains of the playerbase, but I'm interested to see where it goes. This sounds kind of interesting. I'm a little concerned it's turning into ranged DBD though, which I honestly am not sure would help the game or hurt it further. The whole 'you get the resources you escape with' thing sounds interesting, though I hope there's a fairly decent incentive to try and keep allies alive, or else it's going to turn into a situation where everyone is rushing to get resources, and sooner or later people will get the idea in their heads to lead the hunter to other runners, so that the hunter will kill them and you can steal the resources from their bodies. Thanks for sharing your thoughts! I can't say too much just yet, but I can say that teamwork is still part of the equation! Sorry, I never bought your game -- but I wanted to give you feedback on why I was never interested. For me, it was the closed BETA experience, watching streamers get to experience something new, figuring things out, while I was left on the outside looking in. It felt like I wasn't part of the "cool club" that was given access to something that I may or may not enjoy. Not sure if this was to build up hype for the game, but when the title finally dropped, I felt that if I bought it I would be stepping into a game that everyone else knew how to play but me, and that feeling stopped me from paying. I'm sure I'm not the only one. 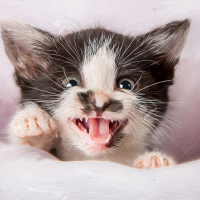 Hey Puckles. Sorry to hear that you felt this way. The closed beta was designed to help us test the game and make sure that, by the time we entered early access, the experience would be as seamless as possible for our early adopters. If you feel like we could have done things differently and if you'd like to further discuss this topic, feel free to message me directly! I'd be more than happy to chat with you. © 2019 Behaviour Interactive Inc. All rights reserved. 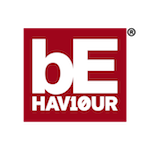 BEHAVIOUR®, DEATHGARDEN™ and other related marks and logos are trademarks of Behaviour Interactive Inc. in Canada, the United States of America and/or other countries.